We’d love your help. Let us know what’s wrong with this preview of Native Spirit Oracle Cards by Denise Linn. 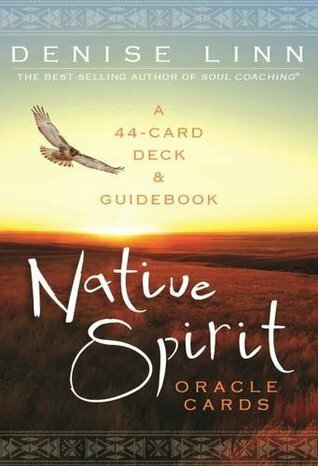 To ask other readers questions about Native Spirit Oracle Cards, please sign up. These cards are beautiful and helpful. :) The photographs are incredible! Denise Linn’s personal journey began as a result of a near-death experience at age 17. Her life-changing experiences and remarkable recovery set her on a spiritual quest that led her to explore the healing traditions of many cultures, including those of her own Cherokee ancestors, the Aborigines in the Australian bush, and the Zulus in Bophuthatswana. She trained with a Hawaiian kahuna (shaman), a Denise Linn’s personal journey began as a result of a near-death experience at age 17. Her life-changing experiences and remarkable recovery set her on a spiritual quest that led her to explore the healing traditions of many cultures, including those of her own Cherokee ancestors, the Aborigines in the Australian bush, and the Zulus in Bophuthatswana. She trained with a Hawaiian kahuna (shaman), and Reiki Master Hawayo Takata. She was also adopted into a New Zealand Maori tribe. In addition, Denise lived in a Zen Buddhist monastery for more than two years.